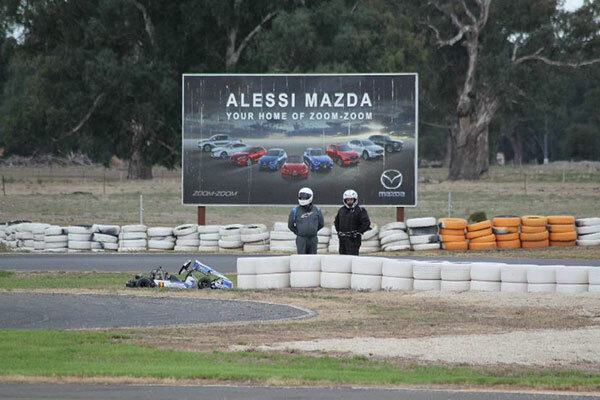 At the Albury-Wodonga Kart Club’s March club day, there were twice the number of racers. Why? 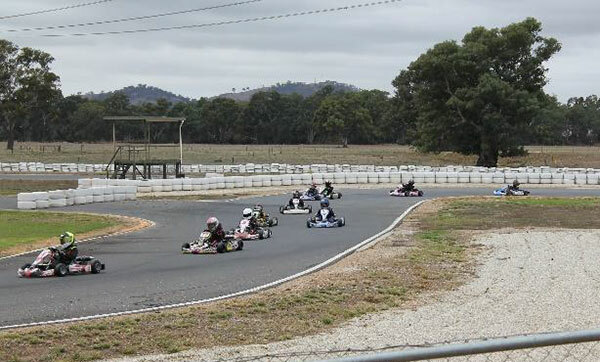 This month, it wasn’t just a club day for members of Albury – it was the AWKC/GVKC club day, plus drivers from other clubs who were preparing for the Golden Powers next weekend. 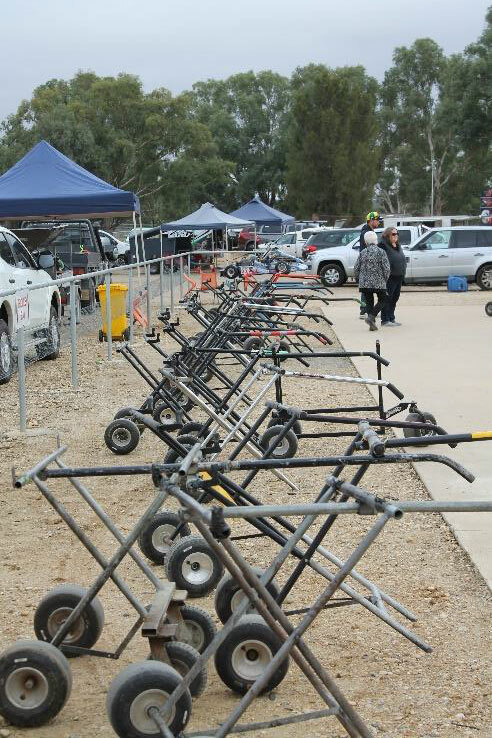 Since the folks from Goulburn Valley Kart Club were having their track renovated and improved, they organized to spend Sunday the 31st of March at AWKC. It worked. Let’s see how many Vic Combined Light racers we can fit into one corner! The Vic Combined Light racers were the most affected; their numbers increased three-fold, from 7 racers last month to 25 this month! 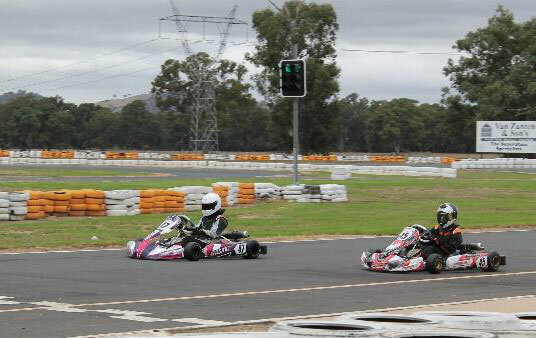 Everywhere you looked there was a battle taking place, from right at the front with Blake Worboys, Brodie Doidge and Cai Allen in their scrap for first, to the large battle pack that stretched from seventh to twelth. Holding their place within this pack were Mark Howard, Daniel Taborsky, Stephen Tonini, Shannon Hogg, Ron Lonsdale and Keegan Darling; all of who were constantly pushing to maintain their spot. Amazingly, in the final, all six of them finished within three seconds of each other! That’s how good their battle was! 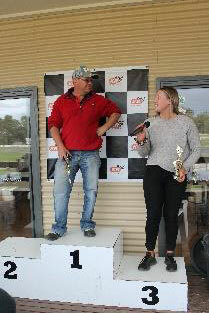 Also, just in front of the battle pack, putting in a fantastic run for sixth was Dayna Rice, who was attempting her first club day in the expanded Seniors class. Well done Dayna! Vic Combined Light formed up and ready to race. 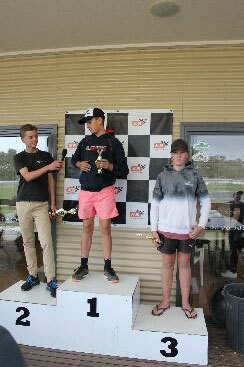 Battle number two took place between Zackary Thompson and Angus Giffin, who were fighting for the top step of the podium in KA4 Junior Heavy. 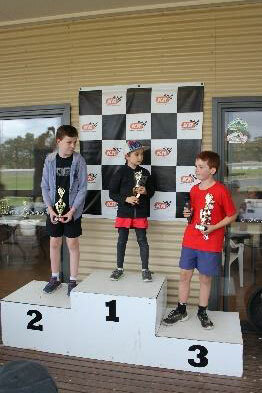 Their first lap in the final took the calibre of racing to a whole new level; performing the switcheroo through turn 4, where Zackary took the lead, Angus claimed it back, then Zackary made another pass coming out of turn 1… It was some nail-biting racing, improved only by Toby Robins sweeping up to the back of the battle and making an effort to get in on the action. 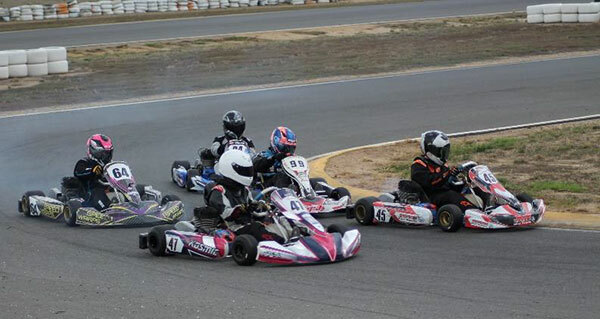 The KA4 Junior Heavy class rounding turn 5. For the Cadet 12s, who gained a few extra competitors, the racing was impressive to watch. William Thompson took the fight to Anthony Alessi in the first heat, before falling back slightly into a battle with Rhylee Jackson over second position. 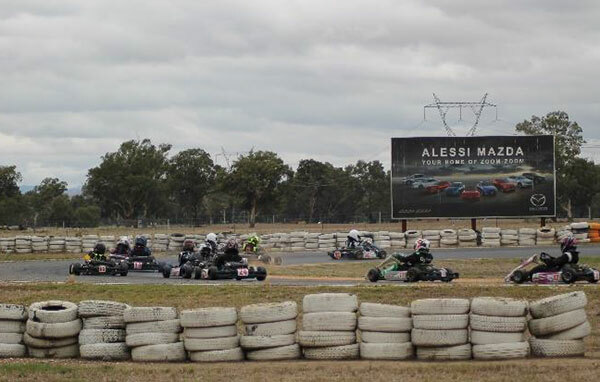 In the final, Sol Alessi and Eddy Cooper worked their way up to positions four and five respectively after starting from sixth and seventh, a feat that involved some great battles with Harrison Strik and Cooper Woodland. Cadets 9 and 12 flying through turn 5 and past the canteen. 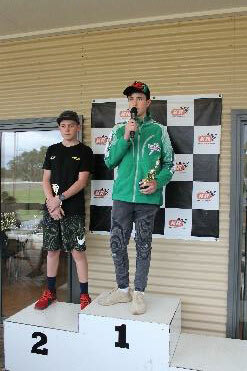 In the Cadet 9s, Noah Dixon claimed his first qualifying pole position, before going on to win the day after some brief battles with James Brett that endured for two or three laps; the latter would get the better start off the line and some millimetre-close racing would ensue, before Noah took the place back. In heat three however, Rory Giffin entered into the fray, taking up a fight with James that gave Noah some breathing room. 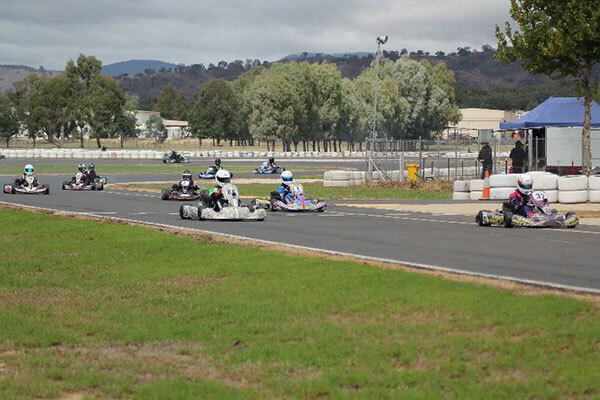 In the midfield, Charlie Damaschino ran a lonely race, lacking the pace to quite catch the front-runners, while further down the grid, Benjamin Roberts, Jaxson Mckinna and Maddexe Halson were enjoying their own mini-race, with the three of them battling it out all through the day. Benjamin Roberts (left), Maddexe Halson (middle) and Charlie Damaschino (right). 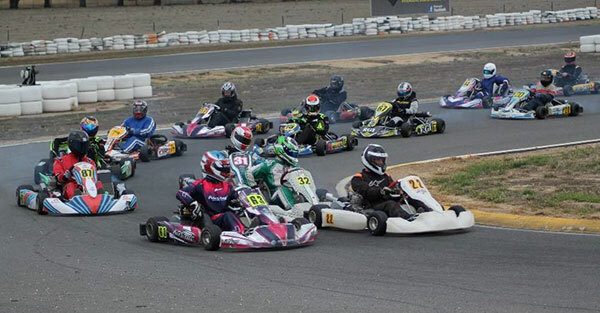 Though the karters in Vic Combined Medium quickly spread themselves out, there was still some epic battles taking place. 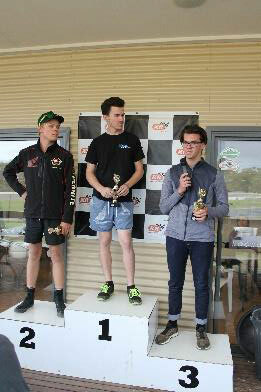 The clash for the top step of the podium was in full swing, with Billy Westerveld, Jackson Rice – also on his first club day as a senior – and Blair Van Ree all going for gold, while Miranda Clarke, Jason Gambold and Justin Riddell formed the second battle pack in their fight for fifth. This class was another huge one, with seventeen karters racing under its banner; meaning that for every battle named here, two more were raging unnoticed. 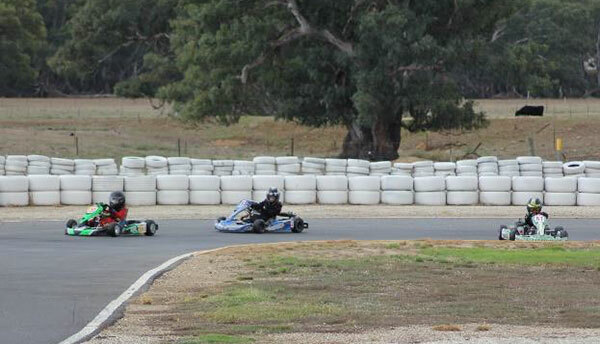 Brent Opie (left) and Brett Jenkin (right) fighting through turn 10. Finally, we come to the brand-new class of 4SS Senior Medium. 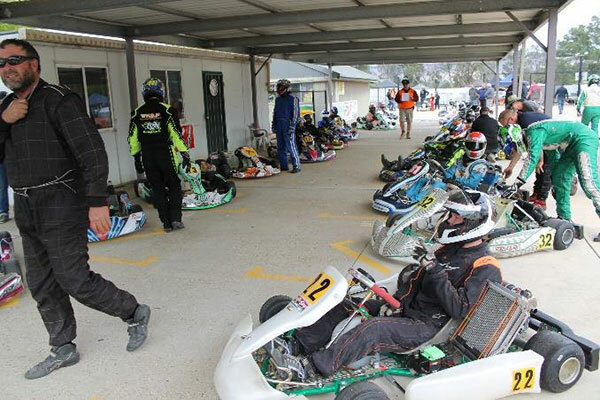 With their rumbling four-stroke engines, these karts are theoretically cheaper to set-up and run. 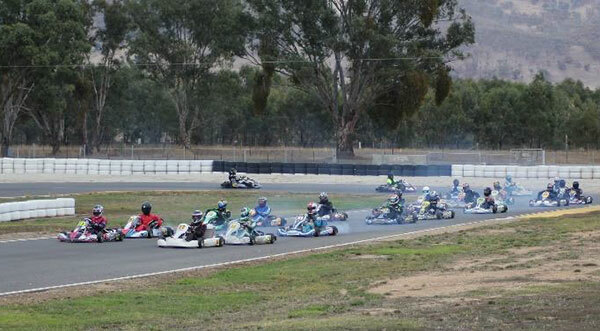 However, they are still in their infancy stage, leading to only three competitors, too few for their own class, so they were combined with the Vic Combined Heavy group, where Ryan Van Ree, Brett Jenkin and Brent Opie were scrapping for first. 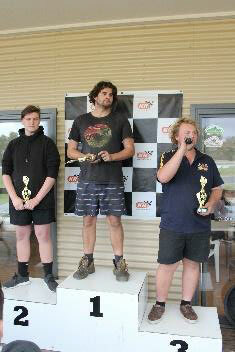 With these colossal classes, what was going down at Albury-Wodonga Kart Club last Sunday was some epic racing. 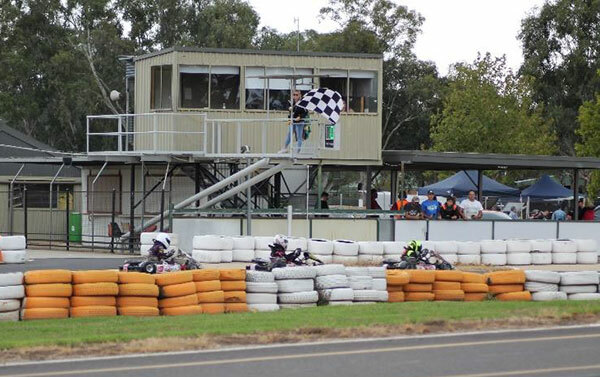 It was a case of ‘the more the merrier.’ Now, we only have to wait until this coming weekend of the 6th and 7th, the AWKC Golden Power weekend, for some more awesome racing. From me however, it is goodbye until our next club day; the AWKC April meet. I’ll see you then. Driver Profile – Who’s Who in Our Club? This month we look to a newer member of the club in teenager Toby Robins. 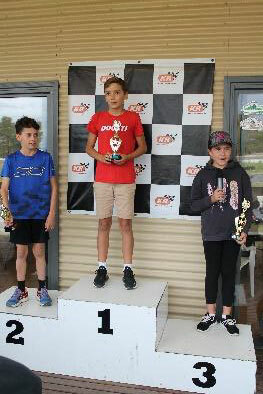 Making the switch from motorbikes to go-karts around July last year, he quickly found his feet in the KA4 Junior Heavy class, where he steadily improved and took the fight to regular Piper Muller. 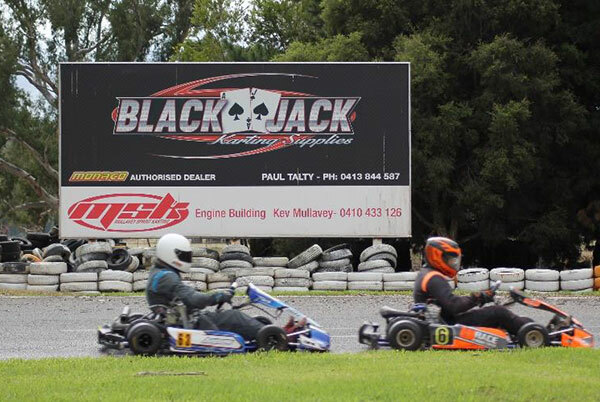 Before stepping into karting however, he tried his hand at mechanics – and succeeded phenomenally when he built up a backyard go-kart for his own enjoyment. Now, he and his dad Steve are regulars at the club days, where they spend some quality father and son time in the thick of it all. 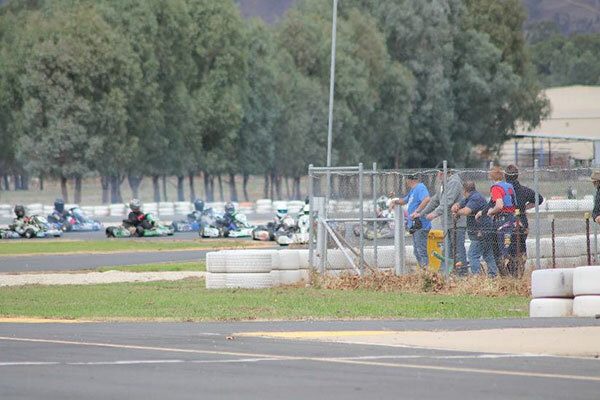 When at club days, if you see a number 99 Monaco/Arrow kart buzzing around the track, you’ll know that it is young Toby, leaving his mark on the asphalt. 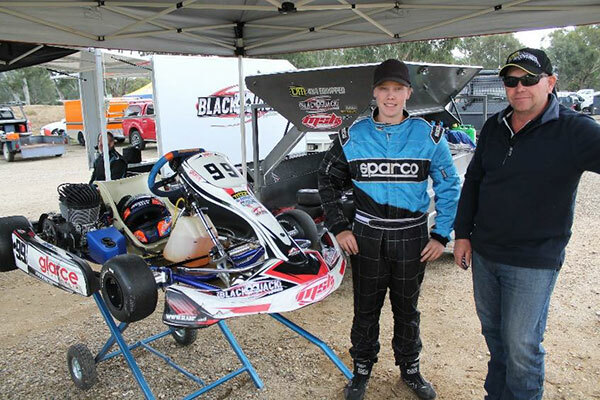 Toby Robins and his dad, Steve alongside the number 99 Kart. The colossal class of Vic Combined Light lined up on the grid. 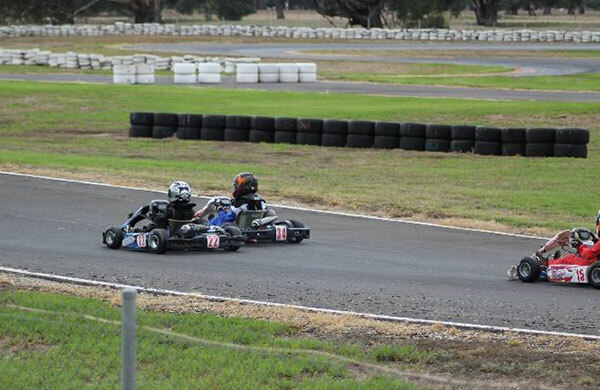 KA3 Junior and KA4 Junior Light roaring along the pit straight. The big classes were fascinating to watch, as these guys will attest to.